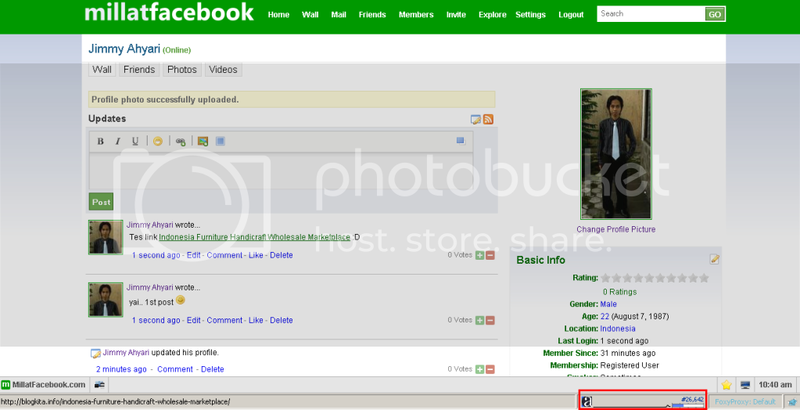 Millatfacebook is Ummah’s very own, first social networking site. The objective is to provide a platform for all Muslims and nice, decent and sophisticated people of all religions and faiths, to come together and make a network. They should interact in a way that is socially responsible by providing them all the freedom of expression, however respecting each others’ sentiments, sensitivities and beliefs. A small group of young IT professionals who were very keen users of Facebook developed this idea when Facebook seems to allow mockery of the most sacred person of Islam, the prophet Muhammad (Sallal-la-ho-Alaihe-Wa-aalehe-Wasallam). A competition was announced on facebook and the blasphemous caricatures of the prophet Muhammad (Sallal-la-ho-Alaihe-Wa-aalehe-Wasallam) were uploaded, and instead of taking any consideration and action, they supported it candidly. After the announcement of the commencement date of this excruciating incident on facebook we all saw hundreds of the protesting Muslims around the world who all together failed to make facebook stop that irreligious event and they made Muslim Millat bear that extreme pain. We all have experienced the so called “freedom of expression” the statement which they produce when ever any question is raised to them. They never let go this freedom of expression when it comes to the Holocaust, or racism, and honor this statement, but when it comes to the Muslim faith, they never. Millatfacebook.com is a very fine, feature rich, and one of its kind social networking site. We are offering much more features than facebook like video chat, bulletins, blogs, polls, shout box and 100% customization of profile page including page colors, headers, font styles, page width and page background. We allow members to change the page CSS and design it on their own will. So Millatfacebook.com should not be called a facebook clone. We have a dedicated team of talented professionals who are working hard day and night to improve the functionality and to add lot more features in this site. If you want to ask anything about our platform feel free to contact us any time. Luhur sekali bukan tujuannya? Jejaring sosial ini juga merupakan bentuk pembelaan terhadap kasus Karikatur Nabi Muhammad SAW yang ada di Facebook Sebagai umat muslim, Saya juga turut bangga atas kerja keras team MillatFacebook. Tidak mudah memang membangun sebuah jejaring sosial. Belum lagi persiapan prasarana dan sarana. Untuk jejaring sosial, minimal memerlukan hosting yang lumayan “wah”. Oleh sebab itu, rasa bangga ini Saya tuangkan ke dalam bentuk tulisan. Sebagai sarana promosi agar MillatFacebook lebih dikenal lagi. Beberapa kawan Saya bahkan langsung menutup akun Facebook mereka dan beralih ke MillatFacebook. Kalau Saya, masih sulit menghapus akun di facebook. Hal tersebut dikarenakan ada beberapa Page yang Saya sebagai admin-nya. Mungkin nanti perlahan, jika feature MillatFacebook sudah berkembang lebih pesat.